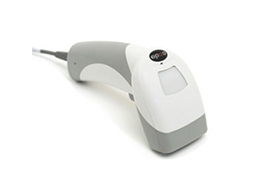 Code is a technology leader in the latest generation of image based barcode reading systems. Using advanced high definition and multi-resolution optics, coupled with flawless Bluetooth® communications systems packaged in uniquely ergonomic packages for the mobile worker, the Code product line is used in critical applications in health care, public safety, technology manufacturing, transportation and other diverse industries. When we say you can "Expect More" from Code, we truly mean it! More purpose built barcode scanners to make you a workflow hero! More customer support when and where you need it, more industry-leading healthcare solutions that can't be matched, and the ability to read more barcode in less than ideal situations or surfaces. Code barcode readers are used in the law enforcement and government communities to gather information more efficiently and effectively. 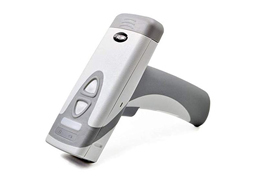 The use of the Code barcode readers are used in eCitation, eCrash Reports, Roadside Checks, Chain-of -Custody, Asset Tracking Networking, Department of Defense IUID programs and more. We offer customized solutions, for easy integration into information and enterprise systems - whatever the application. Code barcode reading solutions can be integrated into all areas of the healthcare environment, from the receiving area of a hospital, to patient administration, to a patient’s bedside. 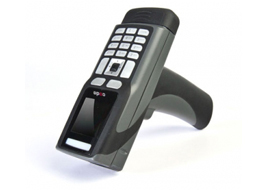 Code barcode reading solutions can be integrated into all areas of the retail environment, from warehouse and distribution to point-of-sale and self-serve kiosks for quick, reliable, and durable barcode reading. 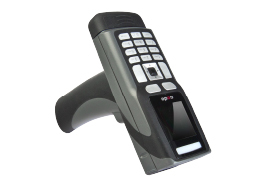 The CR2600 is an ultra-fast, durable Bluetooth® barcode reader that features an aggressive scan engine to decode all 1D, 2D and Postal barcode symbologies. Its patented dual field optics make transitioning from decoding wide to very small barcodes seamless. While patented glare-reduction technology means reading barcodes on shiny surfaces is no longer a challenge. To protect businesses from age verification infractions, Code has designed the CR3600, an easy-to-use age verification solution that combines reliable 2D barcode reading with advanced data parsing capabilities. Quickly and cost-effectively convert your Apple® iPhone® 5/5s/SE or iPod® 6th generation into a mobile barcode reading solution. The CR4400 iPhone® or iPod® barcode reading sled is the only sled that features rapid replaceable, rechargeable battery cartridges. This makes changing depleted batteries quick and easy and avoiding workflow interruptions even easier. Its durable, disinfectant-ready housing withstands harsh environments and consists of CodeShield™ disinfectant-ready plastics that stand up to frequent cleaning with chemical cleaners.